Last month the film 13 Hours: The Secret Soldiers of Benghazi was released to middling reviews and minimal box office. While the film itself holds very little interest to horror fans specifically a trailer attached to the film has fans buzzing, including, and possibly most of all, yours truly. The trailer shows a trio of people living in a subterranean bunker and entertaining themselves with games and music. Slowly the music becomes more sinister as we discover that the female of the trio is being held against her will and attempts an escape. When she finally reaches the door to freedom we are shown that the world isn’t as she suspected and something horrible has befallen the earth. 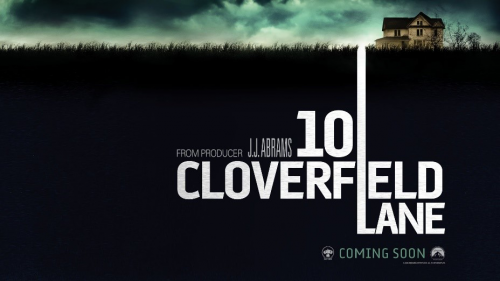 Certainly an interesting concept but the most interesting thing of all was when the title appeared first displaying the word we have all been waiting to see again nigh on 8 years, Cloverfield before the rest of the title comes into view displaying the film’s full title, 10 Cloverfield Lane, at which point the Internet went INSANE! While little is known about the new film’s connection to the 2008 juggernaut about a giant creature rampaging through Manhattan, one thing is certain: Internet sleuths are hot on the case to find out more. Luckily we won’t have to wait too long since the film is scheduled for release on March 11th of this year. There is a lot to investigate and deduce from the short trailer, and some viral marketing to parse through, but let’s put that aside for the moment and talk about the film that started it all to understand the origin of the monster, affectionately referred to as Clovie by those in the know. are left intentionally vague in the film itself. “Our movie doesn’t have the scientist in the white lab coat who shows up and explains things like that. We don’t have that scene.” While the film does not give much insight into where the creature came from the viral marketing for the film laid it all out for us if you’re willing to use your imagination and spend hours in the deep web pouring over clues. 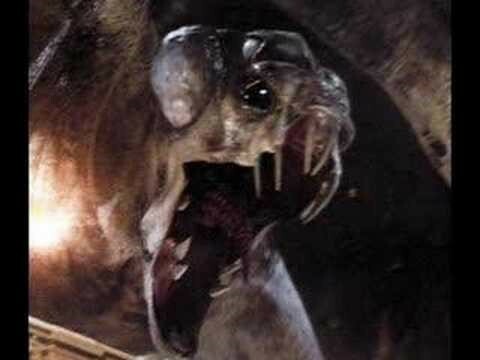 The best way to begin this series of Cloverfield blog entries would be to lay out all we know about where the creature came from. A lot of fans will point to the scene toward the end of the movie where the main characters of Rob and Beth are riding the N train to Coney Island, a scene which takes place months before Clovie’s attack. When Rob points his camera toward the water eagle-eyed viewers have pointed out that you can see something fall from the sky and splash into the water leading many to suspect that this is the scene of Clovie falling to earth. However, closer inspection of the online evidence leads us to believe that Rob has merely, and very serendipitously, captured the falling of a piece of satellite debris which led to Clovie being woken up from a very long slumber. JJ Abrams once stated in an interview that Clovie is a baby who’s been “down there in the water for thousands and thousands of years.” This may sound like an oxymoron (how can a baby be thousands of years old?) but let’s go with the idea that the creature lied dormant all of that time and merely awoke for the first time when the satellit e disturbed it. Another fan theory based on viral videos is that the Tagurato Corporation awoke the creature with deep sea drilling while looking for seabed nectar which can only be obtained at the depths of the ocean floor. 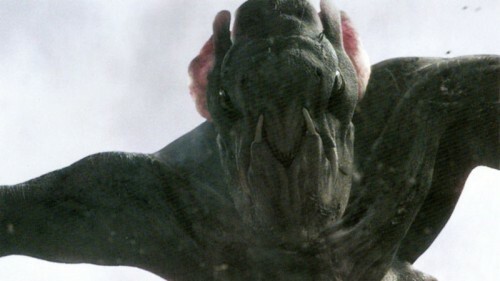 Cloverfield begins with a going away party for Rob who has taken a position in Japan with the Tagurato Corporation. Rob’s brother, Jason, can be seen wearing a Slusho! shirt at the party which is a director’s trademark which has appeared in nearly every JJ Abrams property since Alias. Various internet sleuths have determined that the parent company that makes Slusho! is Tagurato and the secret ingredient in beverage is seabed nectar. In the viral videos on JamieandTeddy.com (password: jllovesth) Rob’s friend Jamie Lascano, last seen in the film asleep on the couch at Rob’s party, makes a series of videos to send to her boyfriend who is working with TIDO group in Japan to “save the world.” In one of the videos Jamie receives a package from Teddy containing an odd substance in a plastic bag with a note that says “refrigerate immediately. Do not eat.” We can assume the contents are either a dead dove or more likely the precious seabed nectar. When Jamie rebelliously eats some of the powder she begins acting erratic and hyper which may have led to the eventual crash at Rob’s party. In the same video Jamie plays a panicked audio message from Teddy stating that Tagurato corporation “…either found something or created something….” Indicating that Clovie may very well have been created in a laboratory or possibly discovered during their drilling expeditions and imprisoned. Additional evidence in a manga which was released shortly after the film’s success shows a large boat with Tagurato printed on the side pulling a mysterious object. At the end of the manga we see menacing eyes peering from above the water behind the boat leading us to believe that the corporation may have brought Clovie to the shores of the US. One final, and most terrifying video, shows alleged news footage of a Tagurato oil rig suddenly and inexplicably collapsing into the water. The large dark shape beneath the water’s surface is said to be an oil leak but you and I both know that the shape is actually Clovie wreaking havoc as Clovie is wont to do. Farther into the clip we see debris flying from the water as the distinct Clovie roar can be heard. However Clovie came to be is still a matter of intense and hotly contested internet debate. One thing is certain however, the creature is virtually indestructible and more than capable of shaking a deep underground bunker like we see happen in the new trailer. Additionally the military crew in the 2008 film can be seen wearing HAZMAT suits and distinctly mention a fear of contamination, which would possibly drive doomsday survivalist underground. Whether the two films are directly linked or not is yet to be seen but I can assure you, gentle listener, that I will keep you updated with all of the information I find.